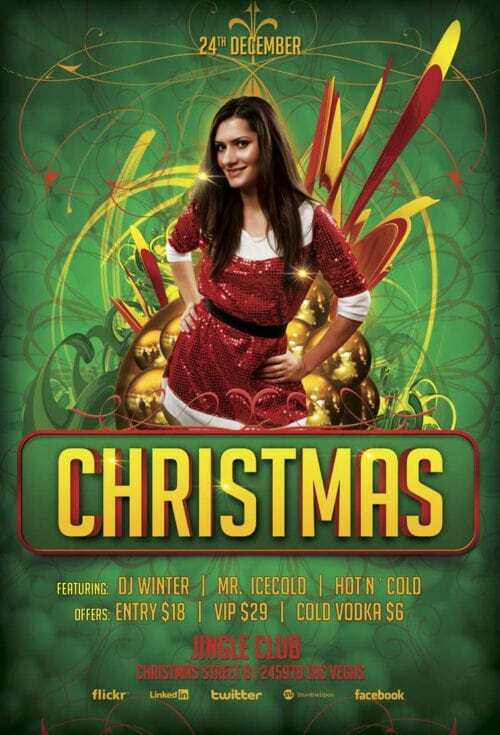 The Free Christmas Bash Flyer Template was designed to promote your next christmas, xmas and winter party and club event. This print ready premium flyer template includes a 300 dpi print ready CMYK file. All main elements are editable and customizable.